HVAC contractors can get called out for some pretty crazy stuff on occasion. I once had to call some HVAC professionals to come to my house to get a lost cat out of my home’s vents. I adopted a cat from a local pet shelter. Not long after letting the cat out of the box it came home in, the cat darted off into a corner and was able to jump into a vent where the register had been removed. My family and I were completely unable to coax the cat out. Eventually, I felt I needed to call a local HVAC company to deal with the problem. The HVAC contractor was able to locate where the cat had hidden in my vents by hearing its pitiful meowing. He was able to loosen the part of the duct system the cat was in and quickly drop it down so that the cat didn’t take off further into the duct system. All told, the cat was in the ducts for around four hours. After this experience, I made sure all the registers in the home were in place so we didn’t have a repeat performance. Besides helping me with this cat adventure, HVAC specialists know the ways of lowering energy bills so that homeowners can save money. SocialMoms has compiled five of these tips into an article published on their website. These are all not that hard to do and will save people not just money but also reduce their carbon footprint. The first tip is to stop using your dryer regardless of the time of year. You can hang your clothes outside in the warmer, drier seasons. When it’s cold or wet outside you can put them on a rack over one of your home’s heater vents. One of the best ways of saving money on energy bills is to turn down the heat in the winters. You can set your thermostat at 65 degrees instead of 68 and just wear something warmer. During the summer, rather than relying all the time on your air conditioner, open the windows. Save the AC for the truly scorching days. If you have rooms in your home that go unused most of the time, you should close the heating vent in it and then shut the door. There’s no point in heating and cooling rooms nobody uses on a regular basis. Cutting your use of water can also reduce your energy bills. When you wash clothes, for instance, make sure you have a full load. Only turn on the sprinklers on your lawn when it is really needed and install low flow shower heads in your bathrooms. 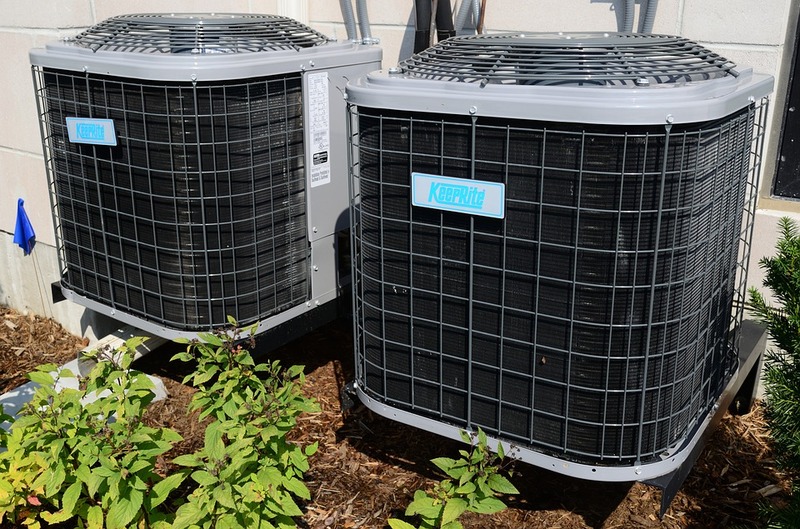 Maintaining your appliances and HVAC system will also save you money in the long run. This means wiping down your refrigerator coils once in a while. Have an HVAC specialist come out to your home and service your heating and cooling system so that it operates most efficiently. You can always trust the professionals at One Hour Heating and Air to keep your heating and air running at peak performance. They can be reached 24 hours a day, seven days a week and offer a “fixed right or it’s free” guarantee. Many HVAC companies will have a contract where they will come out on a predetermined schedule. However, you need to review the contract you sign with the HVAC company very carefully, as this Washington Post article describes. These contracts can be confusing, although there has been some standardization done on them in recent years. The Air Conditioning Contractors of America (AACA), a professional organization, noted over 10 years ago that the HVAC contractors across the nation were using a wide range of approaches and language in their contracts with homeowners. They inspected and maintained equipment differently and used all sorts of different language for it such as “seasonal tune-ups” and “clean and checks.” This was making things a lot more difficult than it needed to be. There is now a guide that HVAC contractors can follow to create their contracts that make things easier for homeowners. This guide can even be downloaded on the AACA’s website. This is a checklist that covers the furnace, air conditioning unit, and ducts. If you look through this, you can see that an HVAC company just checking gauges isn’t getting the job done right. They need to do other things, such as making sure electrical connections are not loose and that the heat exchanger doesn’t have problems like cracks or corrosion, for example. Make getting your furnace and air conditioning units checked on a regular basis. This will save you a lot of trouble when you really need the comfort they provide. Tagged air conditioning, hvac, hvac company.